Aluminium is a new and innovative material for windows, doors and conservatories that has recently become a very popular alternative to traditional UPVC or timber. Inspire Windows can offer you an excellent range of aluminium windows in Cardiff, fabricated by AluK & Origin. 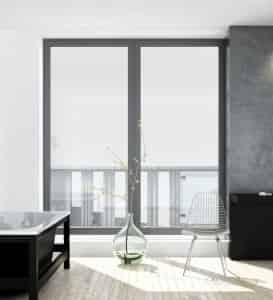 Highly durable and resilient, an aluminium window is the perfect choice for a long term investment. Completely resistant to corrosion and rusting, new aluminium windows will last an extremely long period of time. Partnered with AluK and Origin, we are proud to install maintenance free aluminium windows in Cardiff homes that offer slim sightlines. This allows for larger panes of glass for an increased view outwards that lets more light to enter your home. Aluminium is a fully recyclable material that will make your home more environmentally friendly, reducing your carbon footprint. Inspire are confident our sustainable aluminium windows are the most secure on the current market thanks to the thorough tests carried out. Perfect for your Cardiff or Newport home. All of our aluminium windows are produced on site at either AluK or Origin and are manufactured to the highest standard. Both thermal and acoustic performance play a very important role when it comes to choosing the right aluminium windows, as well as durability and security. These four factors are key to ensuring that the very best product is produced, and here at Inspire we are confident that our aluminium windows adhere to these factors equally. You can be rest assured of complete security and safety. Our aluminium window frames combine ultimate strength and enhanced locking systems. A very popular choice in busy, urban areas where noise and traffic is continuous. A main benefit to installing aluminium windows is that they are available in practically any colour you can imagine. Make your Newport home distinctive and eye catching with an aluminium window that you have put your mark on. With the help of our expert specialists, Inspire can help turn your dream home into an affordable and attractive reality. Get creative and make it your own. As a premium product, aluminium windows are a luxurious choice for a new home improvement. Sophisticated in style and manufactured using the very latest technology, you can ensure nothing but the best in product quality that will last for decades. Aluminium windows have a high thermal performance. An Inspire aluminium window comes with ‘A’ rated windows offering unrivalled energy efficiency, a WER will be provided with each installation so you know your new aluminium windows meet the required standards. Energy efficient aluminium windows are an excellent solution to reducing your carbon footprint and helping you contribute to a greener environment just by having new windows installed. New home improvements have become more concerned with energy efficiency. 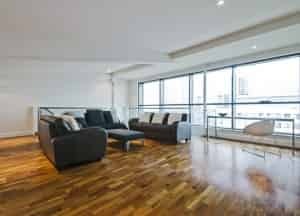 Making sure your new windows are thermally efficient is easier than you think. Choosing an aluminium window from Inspire Windows will provide you with the relevant certifications and expertise for complete peace of mind.